In this volume in the Library of Biblical Theology series, James D.G. Dunn ranges widely across the literature of the New Testament to describe the essential elements of the early churchs belief and practice. Eschatology, grace, law and gospel, discipleship, Israel and the church, faith and works, and most especially incarnation, atonement, and resurrection; Dunn places these and other themes in conversation with the contemporary churchs work of understanding its faith and life in relation to Gods self-revelation in Jesus Christ. James Dunn is professor of theology and religion at Durham University, UK. 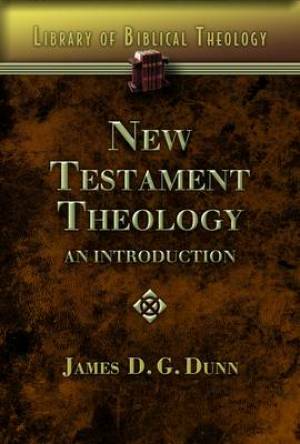 New Testament Theology by James D. G. Dunn was published by Abingdon Press in July 2009 and is our 41663rd best seller. The ISBN for New Testament Theology is 9780687341207. Be the first to review New Testament Theology! Got a question? No problem! Just click here to ask us about New Testament Theology.